I’m a Mom to one. I have a loving son with an appetite for all of the attention he can possibly get. After all- he’s always gotten it. 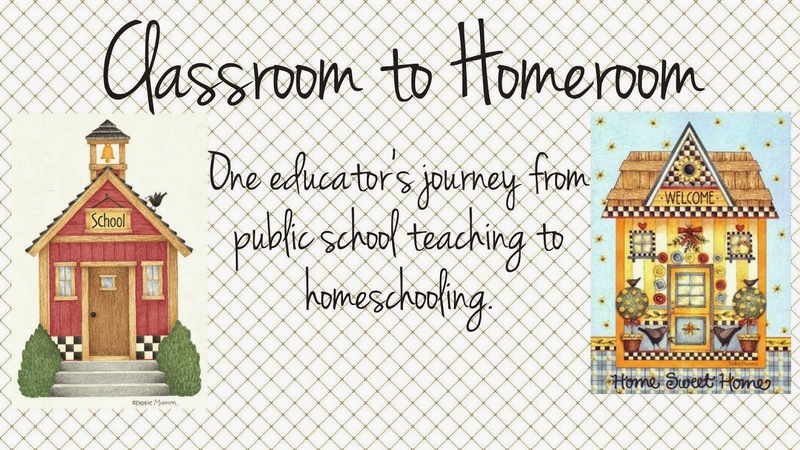 As a homeschooling family our days are filled with conversation, interaction, learning, and fun – one on one – without the distractions of any siblings. I have friends who have told me how amazing it must be to be able to focus on one child, and it is… it really is. I have been beyond thankful for this opportunity, and I have seen my son grow in ways that are blowing me away. 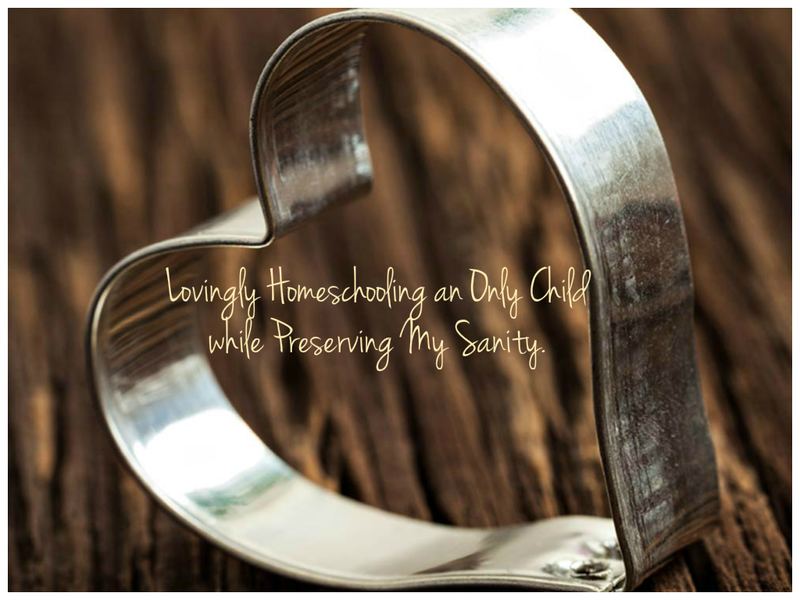 There are the challenges though, just as with any other parenting or homeschooling scenario. I was honored to guest post over at Living Life and Learning! Check out the full post here. It's hard to believe we are half way through the month of October already! 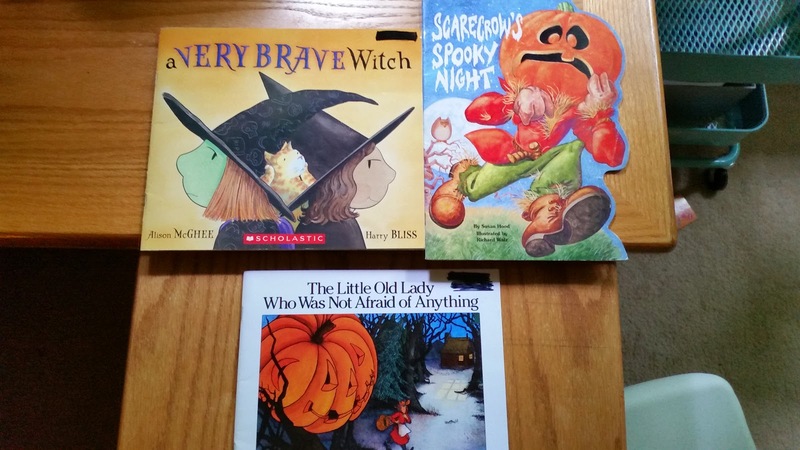 At our house we have pulled out our well-loved Halloween themed books to add some holiday fun to our reading routine. It makes ushering in the holiday that much more exciting! Along with our books, we keep a countdown on our calendar wall as well. Our son is excited and knows exactly how much time he has left to prepare for all of the spooky adventures! I wanted to share some of our favorite books to read during the month of October. 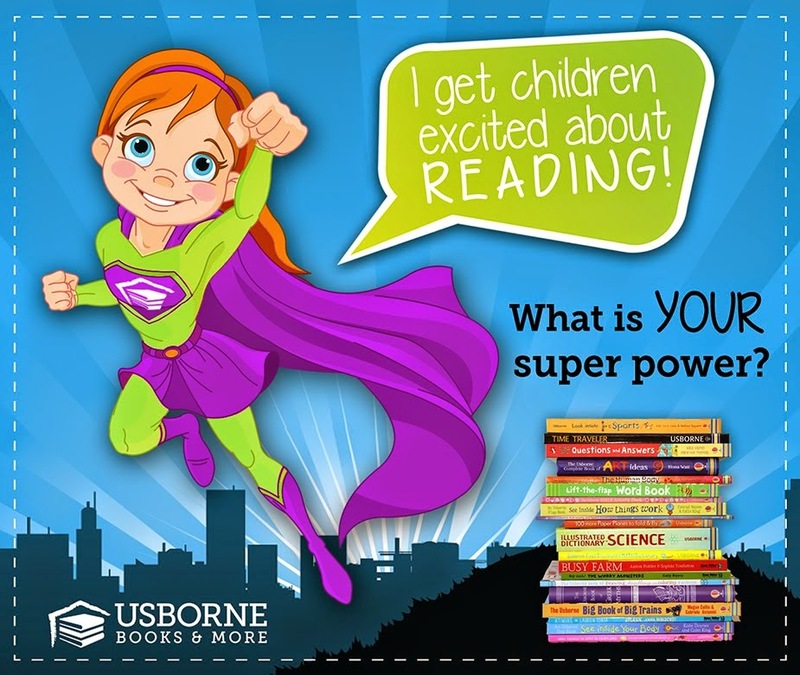 We love these books and find enjoyment in most of them year after year. Others are new to our collection. Primary Readers:Here are some of the books that our son (5) has loved reading since he was around three years old. I have a feeling they will still be favorites next year too! 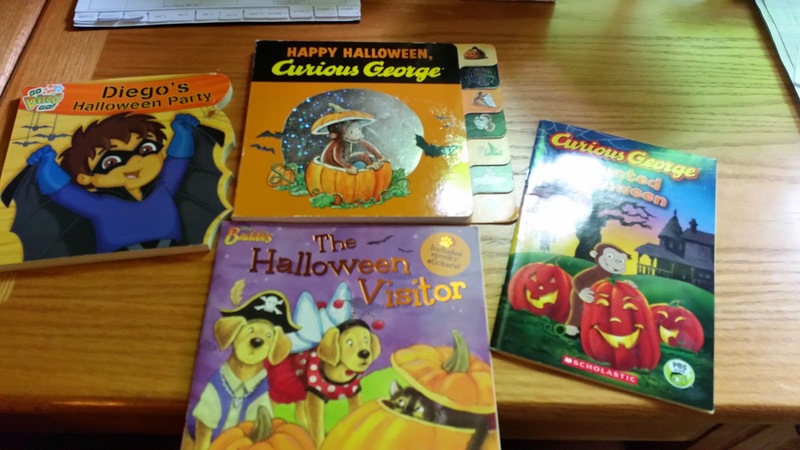 Happy Halloween Curious George- This is a tabbed board book that includes 7 short stories. I love that the book includes rhyming, and covers everything from costumes to decorations, and trick or treating! Curious George Haunted Halloween- This is a Scholastic Level 2 Reader that features a similar story to the movie "Curious George: Halloween Boo Fest." Our son loves to read this book before and/or after watching the movie. Diego's Halloween Party- This is a board book which includes lots of fun facts about animals. In the true Diego fashion- clues are given in the form of facts and the reader is then led to guess which animal is being invited to Diego's Halloween party. We love that this one is a fun read but that our son is also learning about animals at the same time. The Halloween Visitor- Disney Buddies is a popular group of puppy characters that get themselves into all sorts of mischief. This awesome Halloween themed book comes with stickers too! A Very Brave Witch- This is a wonderful picture book that teaches a great lesson. I love that our son learned that it's ok to be afraid but that it's important to overcome fears too. This is a book he doesn't mind reading over again. Scarecrow's Spooky Night- This is a book with a wonderful storyline, illustrations and it teaches a lesson too! The lesson taught throughout this book is all about bullying. It's a little longer than the others in length, but our son loves the story and has no difficulty sitting through it. October is Anti-Bullying month and this is a great book to support that theme! The Little Old Lady Who Was Not Afraid of Anything- This is wonderful story for reading aloud because it includes tons of onomatopoeia! 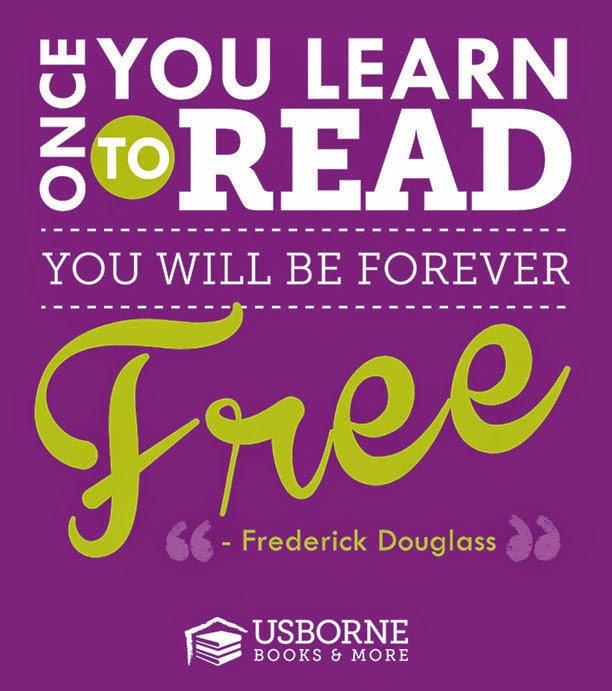 We love reading this one out loud and once we're about halfway through it, our son joins us in reading too. Intermediate Readers: These books tend to be longer in length and are great if your child is ready for more challenging text or deeper story plots, but still loves picture books. These are some great stories too! The Pumpkinville Mystery- This book is a wonderful Halloween themed mystery with beautiful illustrations. The text in this book is much longer and we usually break this story up over a few reading sessions. It's sure to capture the attention of older children who are looking for more of a plot in a book. This is a great book to read if your child has just started reading chapter books but still loves to delve into picture books from time to time. 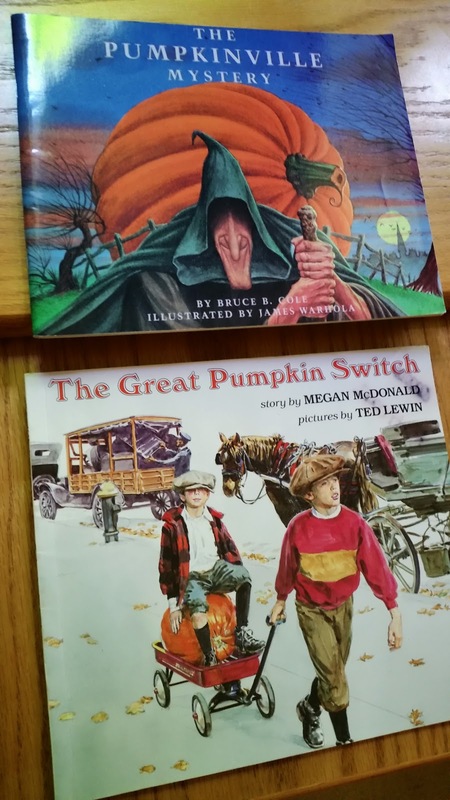 The Great Pumpkin Switch- This is a beautiful picture book told from the perspective of a Grandpa. The illustrations bring the story alive and the stories setting makes this book everything it was intended to be. This is another book with longer length text. 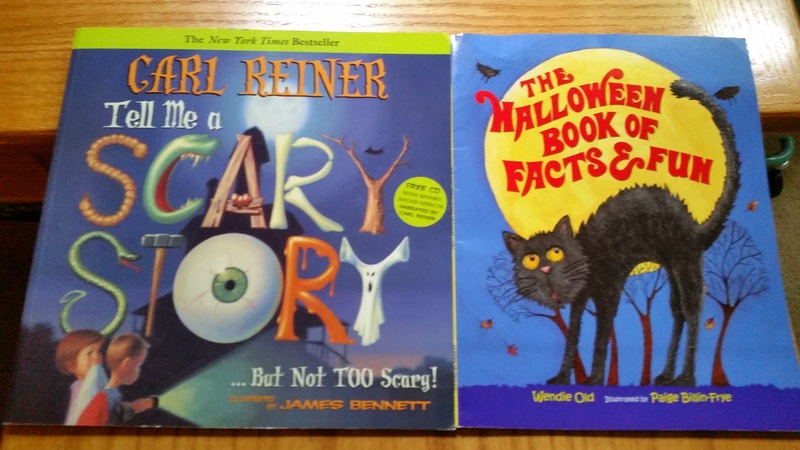 Interesting Reads: These two books wont be for every kid, but are sure to delight some! Tell Me a Scary Story...But Not Too Scary- This is a book that I have found kids around the ages of 8-10 love, but our son (5) is afraid of the illustrations. This book comes with a CD that includes the story being read aloud by the author, as well as spooky sound effects. The Halloween Book of Facts & Fun- This book has the look and feel of a picture book but it's set up in chapters. The text is much longer and the whole idea behind the book is to give the history and facts about the holiday. This would be an excellent book to read with kids who love the realistic side of things or who are doing a fun project on the origins of Halloween. There you have it- aside from It's the Great Pumpkin, Charlie Brown, this is our personal Halloween reading collection. We hope you find some of these to be treasured in your home too!